Today ECS unveiled its latest black series motherboard the ECS A890GXM-A2 witch supports the latest six-core CPU with impressive price and features. By “One-step Unlocking” function in “ECS M.I.B. III” overclocking interface, users are able to unlock the hidden cores of CPU easily, and it reaches over 238% CPU performance boosted than default setting by unlocking cores with overclocking; moreover, it is also easy to reach 146% gaming performance boosted by overclocking GPU - ATI Radeon™ HD 4290 graphics processor’s core clock and SidePort memory speed; ECS A890GXM-A2 fully supports the latest AMD Turbo Core technology which is essential for power-desired users to get extra performance automatically. 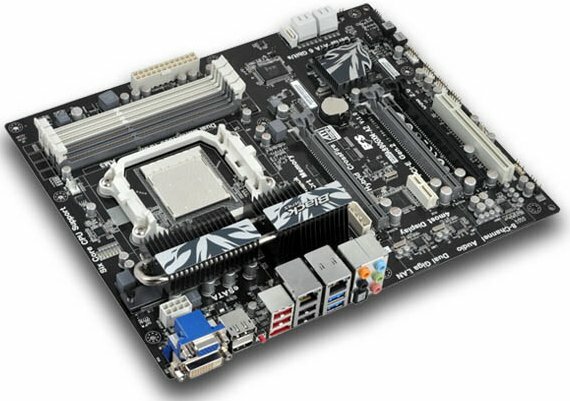 ECS A890GXM-A2 is also the first motherboard provides a real PCI-E Gen.2 bandwidth SuperSpeed USB 3.0 controller enhanced by a world-leading IC manufacture in Taiwan, with this perfect solution, ECS A890GXM-A2 features attractive price in the performance segment.